We’re not referring to the book or movie of the same name, but to the occurrence of two major forces that together have caused substantial changes in the way we design, prototype, and collaborate during the innovation process. These two forces – digital design and collaborative culture – are everywhere today. 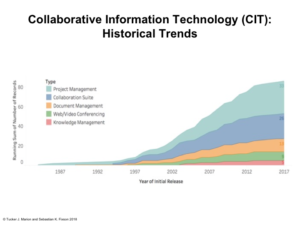 Just look at the cumulative release of new collaboration and communication tools over the last 15 years as an example. Think #slack, Zoom, Microsoft Teams, etc. This combination of super capable digital design tools (Solidworks, CREO, Onshape, Rhino, etc.) and collaborative communication platforms has enabled firms to push the envelope of performance. Increased aircraft engine efficiency, new medical devices and implants, long-range electric vehicles, and automation. 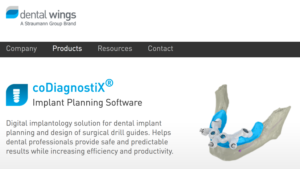 Those on the cutting edge, like Dental Wings, based in Canada, are leveraging these changes to enhance service and business model design (photo below courtesy of dentalwings.com). In our upcoming book, we explore how these changes impact traditional firms, which we call specialists. From organization design to task allocation, we explore how the ‘perfect storm’ represents an opportunity to improve the innovation process, not only through enhancements of existing corporate norms, but trying new modes of innovation.